Whether you’re moving or just need to free up some space in your home or office, choosing the right storage facility is important. There are a lot of questions to be asked and things to be considered before you make that decision. Whatever you need more storage space for, you want your belongings to be safe and secure. All Storage facilities offer units of various sizes and types to help preserve and protect your stored items from the weather and any other damage. In addition, our facilities have security measures in place that provide protection for your belongings from manmade threats, such as burglaries, break-ins and vandalism. Therefore, when seeking out a storage facility one of the most important questions you should ask is how will I know that my valuable items will be stored safely and securely? As a storage facility, we take all precautionary measures to ensure that we protect your items from any damage, theft, or mishandling of any sort. Some of those security measures we currently have in place are discussed in more detail below. 1. Security Cameras: If there’s one facet of security you definitely want in a storage facility, it is a 24-hour video surveillance. Ask a facility manager if the premises are constantly monitored by video cameras and if the footage is reviewed on a regular basis, not just when an incident occurs. 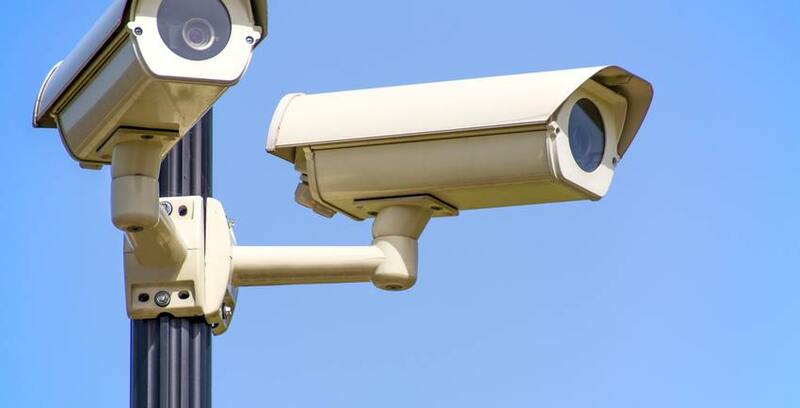 Security cameras should be positioned such that everything that happens within the facility is captured, not solely around the main entrance or common areas. Luckily, All Storage not only has excellent security cameras in place, but they also record to DVR 24/7 and are monitored and reviewed regularly. 2. Gated Access: Due to the busy lives we all lead, it’s important to know whether or not you will be given easy access to a storage facility that you are conducting business with. However, you want to make sure that it’s not too easy for potential intruders to enter the premises. Thus, customers should be required to enter the grounds via gated access. Upon entering into a contract with All Storage, each customer creates a unique and personalized code to enter the entrance gates at our facilities. You are required to enter the code as you enter and leave the premises. Another insider tip to look for is that you should also check that the gate does not stay open for longer than necessary. The longer the gate stays open, the more opportunity intruders have to speed through it before it closes. 3. Well Lit Premises: Lighting is an important part of security and oftentimes overlooked or ignored. You want to make sure that most, if not every, area of the storage facility is well lit. The main office should be brightly lit so renters feel safe. Lighting should be installed all around the fencing, inside the facility and in each unit so that you can access your unit with no problems, day or night. Well lit premises will not only prevent harm to yourself or others but to your belongings as well. Our 10×20 and larger units are well lit so that you can avoid running into any items. All Storage seeks to minimize the risk of loss and injury whenever possible by providing well lit premises. All of the above are crucial items for storage facilities to maintain to prevent unwanted damage, theft, and vandalism. Taking the necessary precautions and steps to ensure your safety and the security of your belongings is of utmost importance here at All Storage. We also advise our customers to use their best judgment and to take safety precautions seriously. Should an incident ever occur while on the premises, we also have a 24 hour emergency contact number that you can call at any time of the day or night.